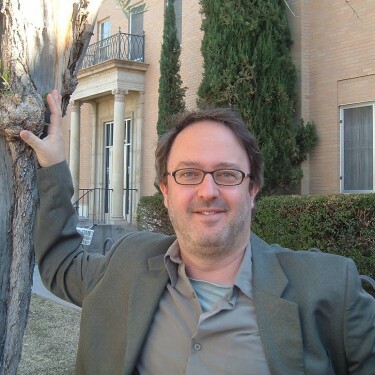 David H. Guston is co-director of the Consortium for Science, Policy and Outcomes, Professor in the School of Politics and Global Studies, and principal investigator (PI) and director of the Center for Nanotechnology in Society at Arizona State University. CNS-ASU is a National Science Foundation-funded Nano-scale Science and Engineering Center (NSF # 0531194 and #0937591); ~$13M over ten years) dedicated to studying the societal implications of nanoscale science and engineering research and improving the societal outcomes of nanotechnologies through enhancing the societal capacity to understand and make informed choices. He also is co-PI on the Socio-Technical Integration Research (STIR) project and the To Think, To Write, To Publish (TTTWTP; thinkwritepublish.org) project. Guston is widely published and cited on research and development policy, technology assessment, public participation in science and technology, and the politics of science policy. His book, Between Politics and Science: Assuring the Integrity and Productivity of Research (Cambridge U. Press, 2000) was awarded the 2002 Don K. Price Prize by the American Political Science Association for best book in science and technology policy. He has co-authored Informed Legislatures: Coping with Science in a Democracy (with Megan Jones and Lewis M. Branscomb, University Press of America, 1996), and he has co-edited The Fragile Contract: University Science and the Federal Government (with Ken Keniston, MIT Press, 1994) and Shaping Science and Technology Policy: The Next Generation of Research (with CSPO co-director Daniel Sarewitz, University of Wisconsin Press, 2006). Guston is the series editor of CNS’s Yearbook of Nanotechnology in Society (Springer) with three published volumes, and he is the general editor of the two-volume Encyclopedia of Nanoscience and Society (Sage, 2010). Guston is the founding editor-in-chief of the Journal of Responsible Innovation (Taylor & Francis), an international, peer-reviewed journal providing a forum for research, perspectives, and pedagogy on the normative assessment and governance of knowledge-based innovation, the first issues of which will be published in 2014. He served as the North American editor of the peer-reviewed journal Science and Public Policy from 2000 to 2009, and he has served on the editorial boards of Nanoethics: The Ethics of Technologies that Converge at the Nanoscale, Review of Policy Research: The Politics and Policy of Science and Technology, and VEST: Nordic Journal of Science and Technology Studies. Guston has served on the National Science Foundation’s review panel on Societal Dimensions of Engineering, Science, and Technology (2000-2002) and on the National Academy of Engineering’s Steering Committee on Engineering Ethics and Society (2002). He has held visiting positions at Columbia University, the Copenhagen Business School, the Kent School of Law, and Durham University. In 2002, he was elected a fellow of the American Association for the Advancement of Science. He co-chaired the 2008 Gordon Research Conference on Science and Technology Policy, “Governing Emerging Technologies.” He holds a bachelor’s degree from Yale and a doctorate from MIT. Guston, David. October 17, 2017. "The Curse of the Halfway Technology." Slate Magazine. Zirulnik, M. L., Gutkind, L., Guston, D. 2015. The rightful place of science: Creative nonfiction. Tempe, Arizona: Consortium for Science, Policy and Outcomes. W. Valdivia, Guston D. 2015. Responsible Innovation: A Primer for Policymakers. Sadowski, J., Guston D. 2015. "TA as an Institutionalized Practice: Recent Developments in the USA." Technikfolgenabschätzung – Theorie und Praxis, 24(1): 54-59. Wiek A., Foley R., Guston D., Bernstein M. 2016. "Broken Promises and Breaking Ground for Responsible Innovation – Intervention Research to Transform Business-as-Usual in Nanotechnology Innovation." Technological Analysis and Strategic Management.